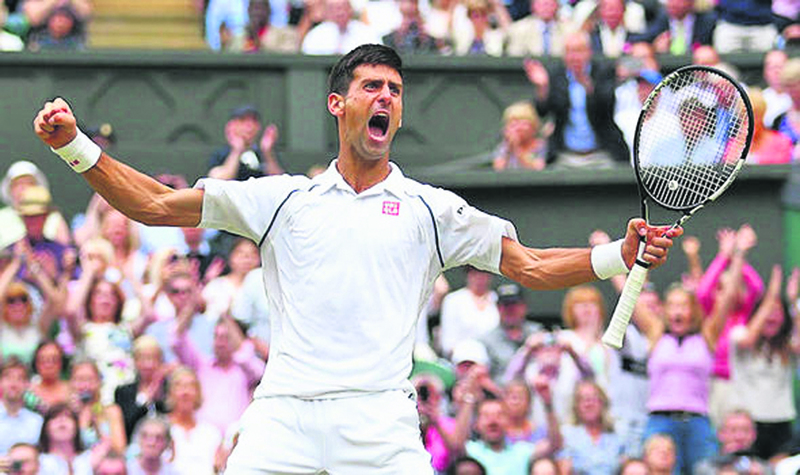 Serbia's Novak Djokovic's Wimbledon triumph has helped him jump 11 places to be 10th in the men's world tennis rankings, released by the the men's Association of Tennis Professionals (ATP). The Serbian star had fallen in the rankings after dropping out of the 2016 Wimbledon quarter-final - remaining off the court for the rest of the year - and had a rocky return in the 2018 season. But his magnificent run at the Wimbledon, which culminated on Sunday with him overpowering Kevin Anderson of South Africa 6-2, 6-2, 7-6 (7-3) in a lopsided final, got him back among the top-10 ranked players. Anderson climbed three places to world No 5 thanks to his runner-up finish, while Switzerland's Roger Federer held on to world No.2 spot but lost ground to top-ranked Rafael Nadal of Spain after being defeated by the South African in the quarter-final. Nadal had lost to Djokovic in the last four clash. Both Marin Cilic of Croatia and Dominic Thiem of Austria dropped two spots, landing at world No.7 and No.9 respectively.